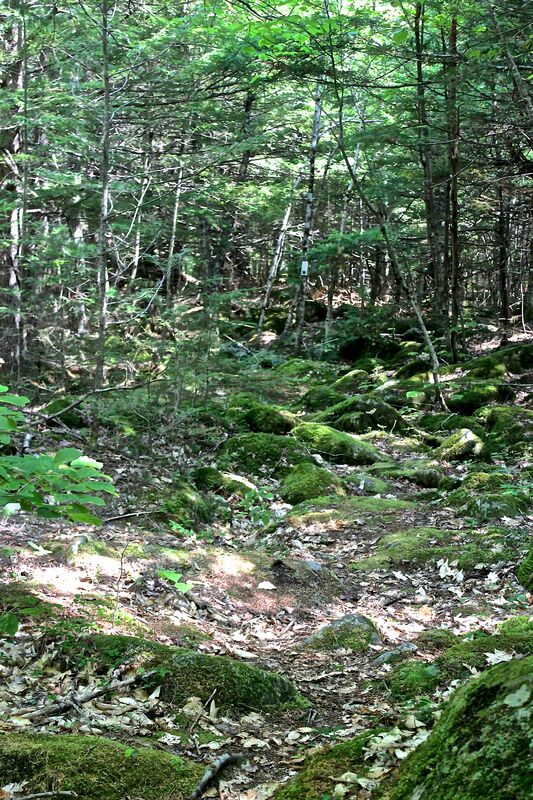 I feel my dad’s presence when I enter a forest where mosses carpet the damp floor and blanket once exposed rocks and tree trunks. To dad, this was home to the faeries or fair folk. Indeed, it is. Yesterday, I took a closer look. 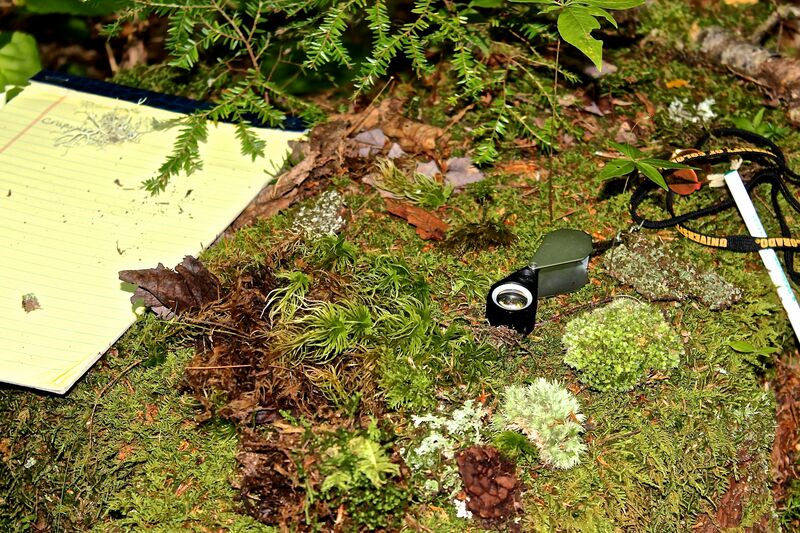 With hand lenses, a field microscope and a copy of the Princeton Field Guides: Common Mosses of the Northeast and Appalachians, friends and I set out to identify a few common species. 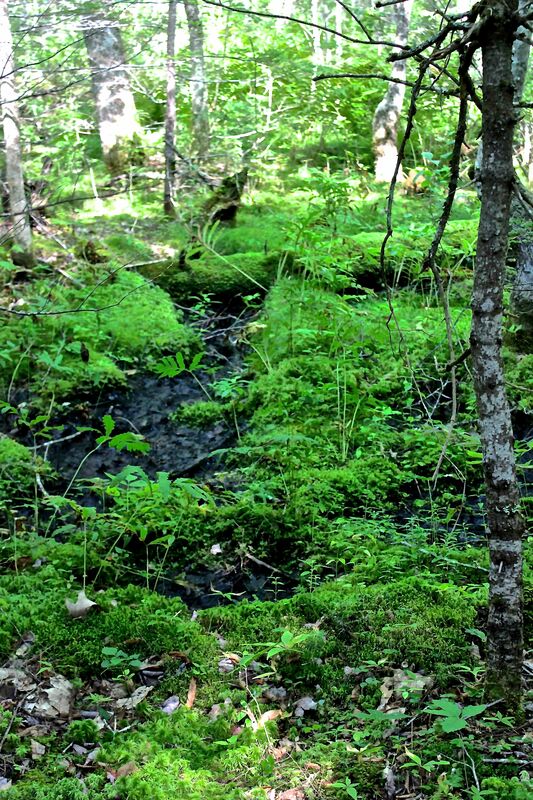 Mosses (and liverworts) are bryophytes, bryon being Greek for moss and photon for plant. A sea of green surrounds us. Moss green. OK, so what does that mean exactly? Each species has its own shade of green and even still, several variations of that shade. 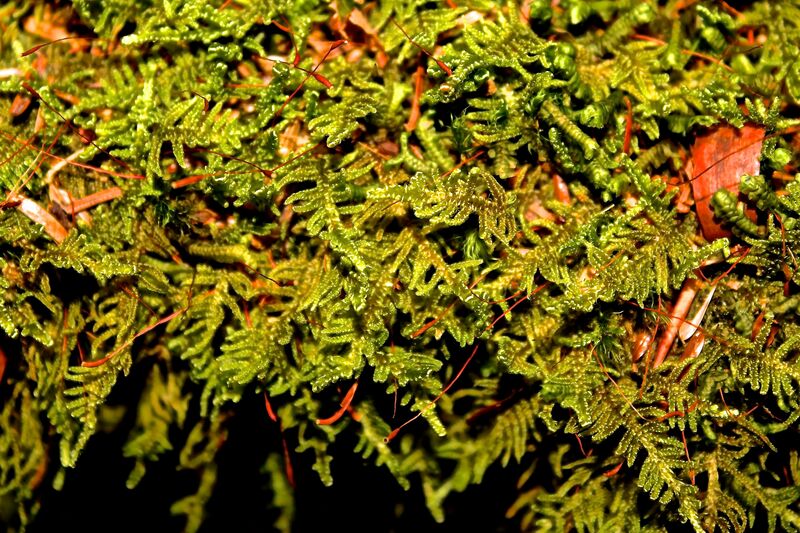 Above is a fern moss, with its fern-like leaves and yellowish-green hue. What would its name be on a paint chip? 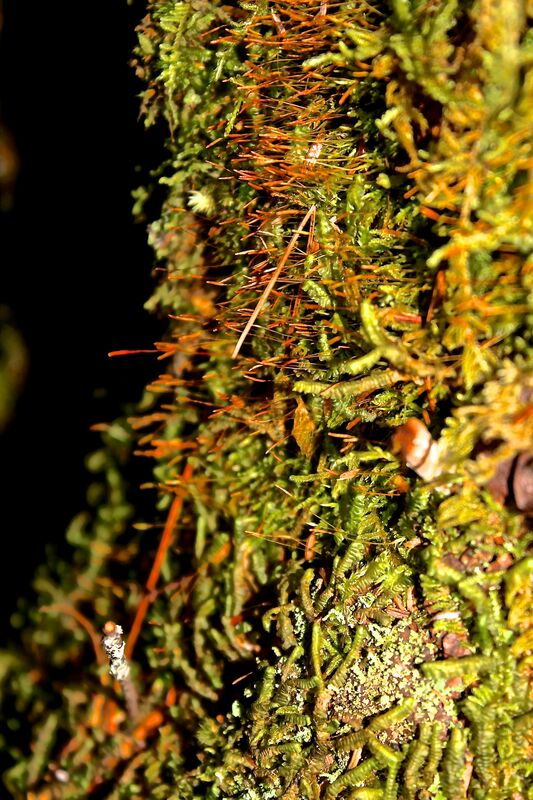 Below, you can see its brown spore-bearing, pointed capsules born on a wiry stalks sticking out from the side of a tree stump. If you look closely, you’ll see something else on this old stump. Green worms. Zillions of them writhing about. Such is the illusion created by thin overlapping leaves that curl under along the outer sides–giving them a 3-D appearance. This is a liverwort–three-lobed Bazzania or Bazzania trilobita. Nearby, another mat caught our attention. It reminded us of one we’d seen earlier, but we needed to spend time with it. 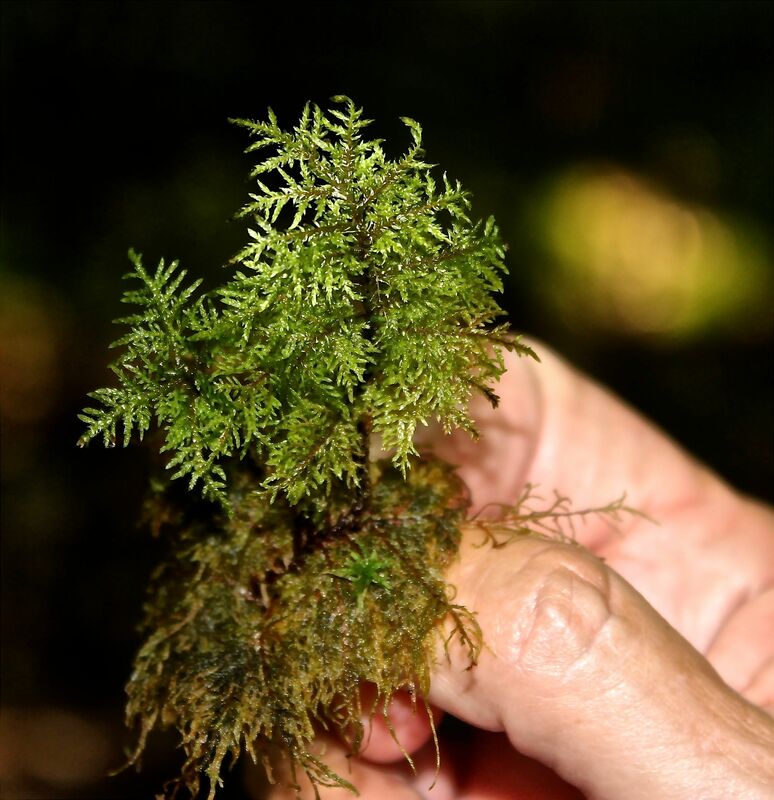 We knew by its structure that it was another fern moss species–but which one? The red stem stood out to me as the missing link. It became our mystery moss for the time being, but I think I’ve figured it out. 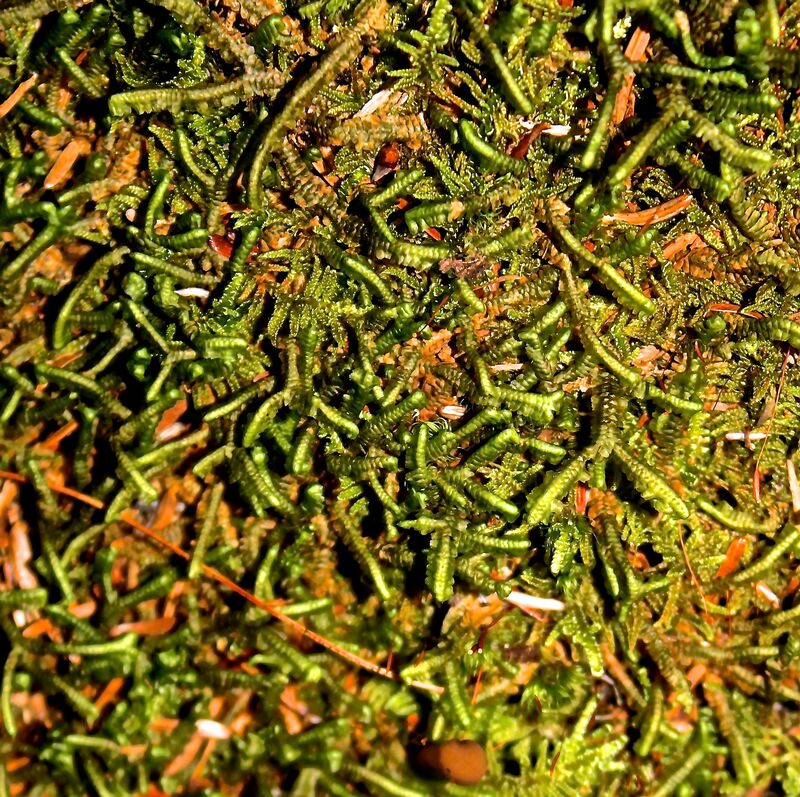 Pleurozium schreberi or red-stemmed moss. I also found it as Phoenix feather moss. And big red stem moss. Yeah, I know–that’s why I should learn the Latin. Ah, Mr. Cretella, you are still sitting on my shoulder trying to get me to stop using Spanish words to fill in the answers on Latin quizzes. 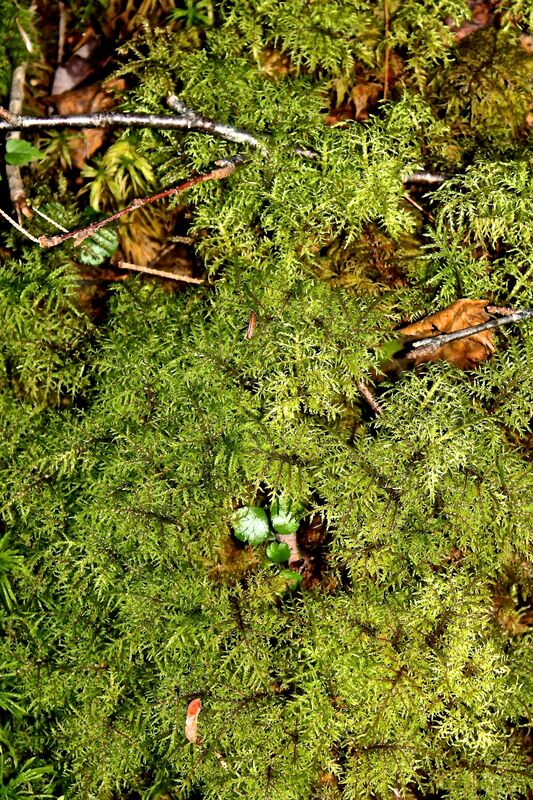 We discovered springy, wet sphagnum moss. I always think of it as being in a more bog-like setting, but it is quite damp here. 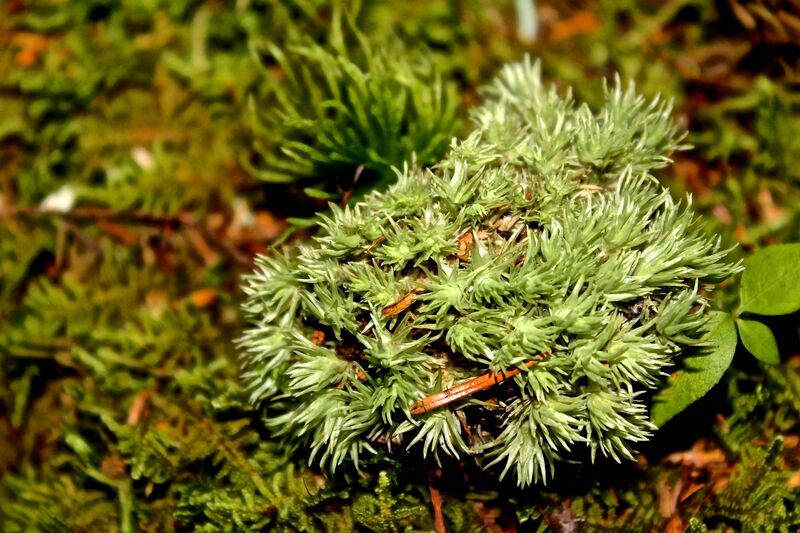 One of the common species that grows in small, easy to see mounds scattered about the area, pincushion moss. To some, it resembles a sea urchin. Using our hand lenses, we looked for air bubbles that are supposed to be visible at the base, but mostly we saw tears welled up in our eyes from laughing. After three hours, it was time to pack up the items on our our tree stump desk and head out. We’d only walked .2 of a mile down the trail, so it wasn’t a long haul out. Movement made us pause. 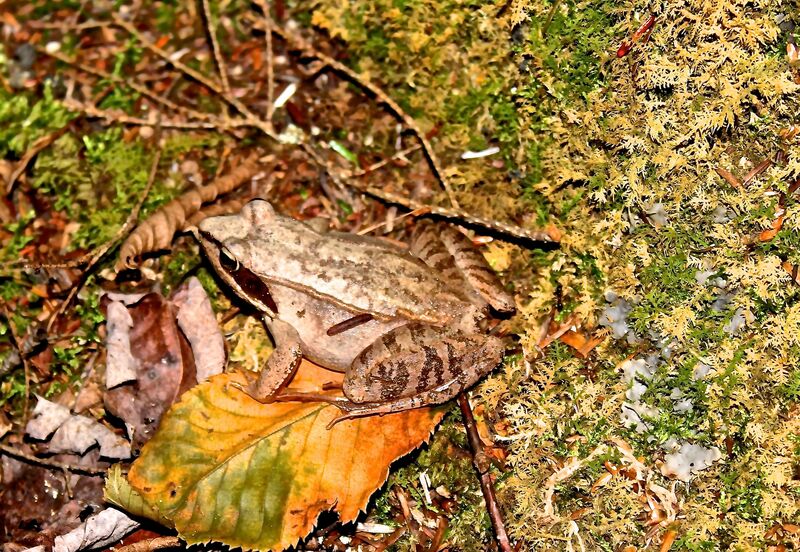 Not a faerie, but a large masked wood frog who wanted us to think he wasn’t there. Someone else had previously passed by. 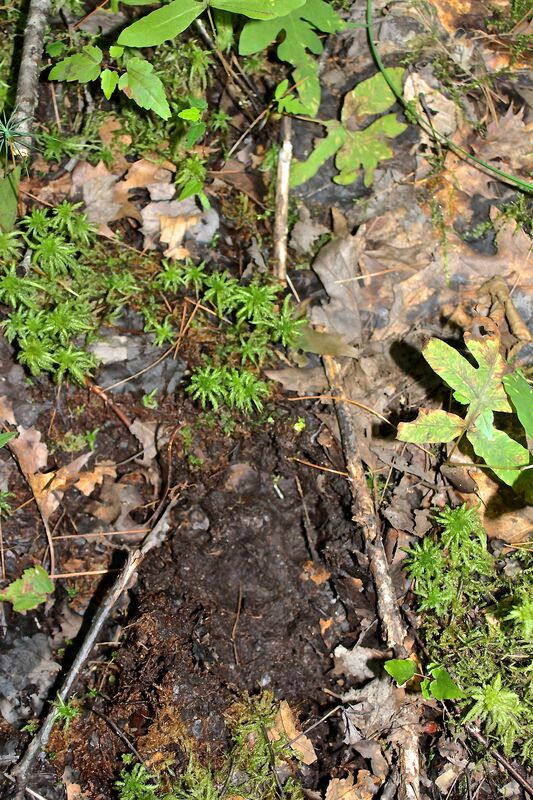 We’d seen tracks on the way in and knew what it was, but I waited till the end to photograph this bobcat print. Do you see it in the mud? And the hair cap moss above it and to the right? I’d sketched this previously. 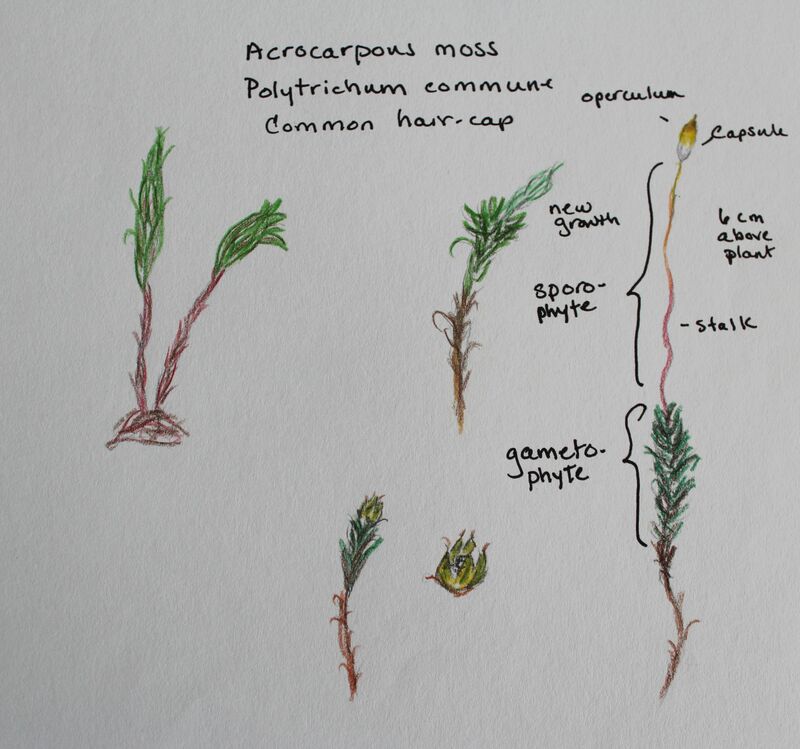 Looking at it now reminds me that we reviewed the three basic growth forms of mosses and found examples of all three in this little space–acrocarp, pleurocarp and peat moss. I’m thankful for friends who love to learn (P & B K. and D.S.). We hardly scratched the surface. I can’t wait to spend more time among this miniature world beneath our feet. Always fun learning. I’m glad you found it helpful. 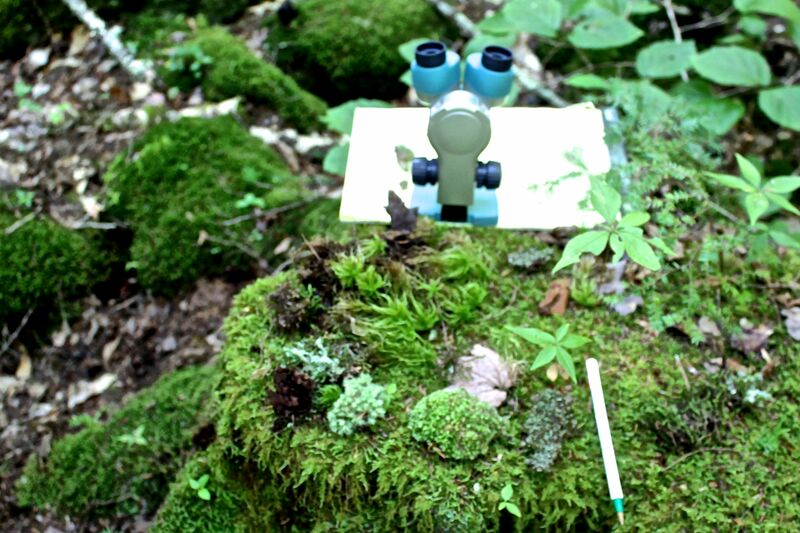 I bet you could teach me lots about mosses.